Durian season is back in Singapore and this time around the price is almost rock bottoms due to the abundance of harvest in Malaysia. This, of course, is good news for durian lovers in Singapore, who have an insatiable appetite for this King of Fruits. We received three types of durians: Mao Shan Wang (MSW- $39.90 for 800 gram), Hand-Picked Old Tree Mao Shan Wang (TSW, Pahang AAA+ - $49.90 for 800 gram) and Red Prawn ($27.90 for 800 gram). Before you go Gaga about the price?? The prices above are based on nett price, the weight of the pulp / flesh of the durian only. These 800 grams is equivalent to about 3.2kg of the whole durian. In the market, normally the price given is based on the whole durian price. The gross price is also available on their website. Mao Shan Wang (MSW). It has a nice shape of the whole flesh that we know. Thick with a lot of flesh. The taste is solid and creamy; however, the bittersweet flavour is very subtle. This will be good for a beginner that want to try MSW durian. Hand-Picked Old Tree Mao Shan Wang (TSW, Pahang AAA+). The star of Durian Delivery, they even categorised it as Durian Royalty. Each of the pulp is perfect in shape. Thick flesh and with little seed. It is solid, rich, creamy and deep layers of bittersweet flavour. A Premium durian indeed. Lovers of MSW really need to try this. Red Prawn, for someone who likes their durian and no bitter taste. The flesh is thin, while the seed is bigger. The flesh tastes soft, creamy, rich and sweet absent of any bitter taste. Although it is sweet, the uniqueness of Red Prawn is that you won’t get overwhelmed easily. Our niece loves the red prawn and she had a more than her share of this. 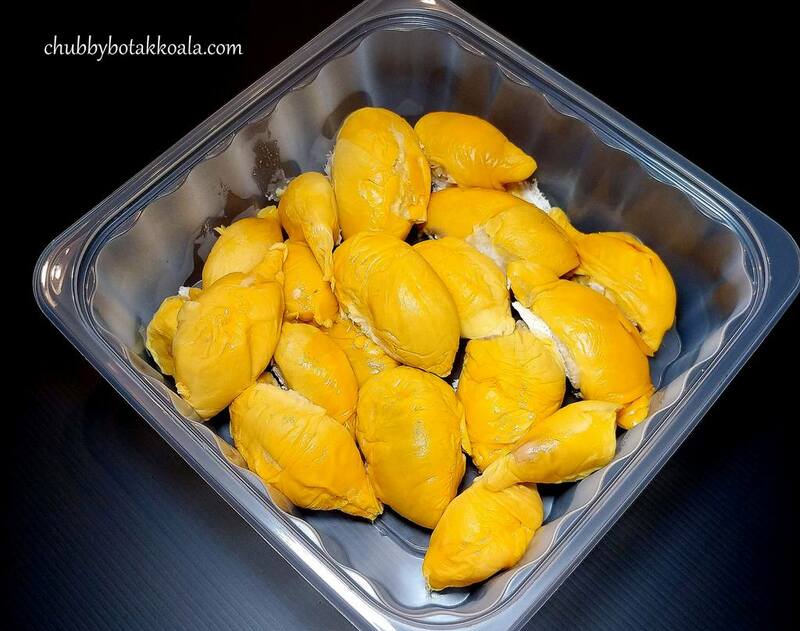 Click on Order Durians Now. 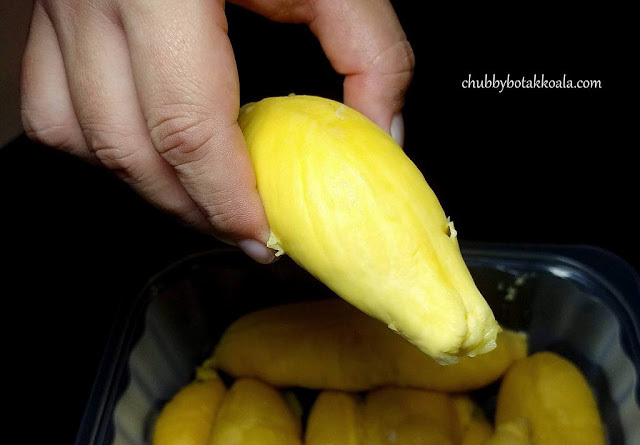 Choose the type of Durians that you want, size (400 gram or 800 gram) and quantity. Complete your checkout, make payment and choose your delivery time. For delivery charges, please note the following: Same Day Delivery ($9.70), Next Day Delivery ($6.90), 2 hours delivery ($14.90). Free Delivery, when you purchase above $120. Delivery time is between 2 PM to 2 AM. Durian Delivery also provide the following guarantee 100% Money-Back Guarantee, Freshness Guarantee and Superb Durian Quality. From our experience, the seems to delivery on the freshness quality. Overall, we definitely enjoy our durian from Durian Delivery. The durians are fresh and it is just so convenient that we can get durian at our doorstep. 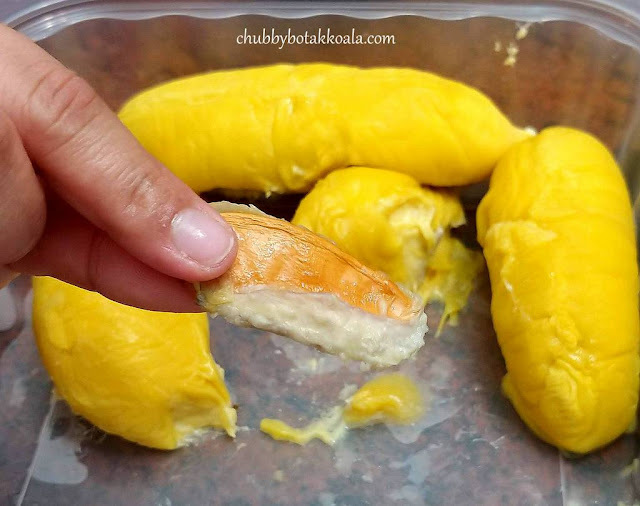 So, if you need a durian fix anywhere in Singapore, check out Durian Delivery. Cheers!! Thank you very much, Jonah and Durian Delivery for the delicious durians.